Sunrise was just a couple hours ago, but the sun shines as if it were noon. A cool sea-scented breeze blows from the west, moving my hair hair. I sit on a nearby rock to watch the morning show. Below, not far, hundreds of small fishing boats come and go with the fish to supply the many bars and restaurants around the harbor. I’m at Byblos, a small port town 20 miles north of Beirut. 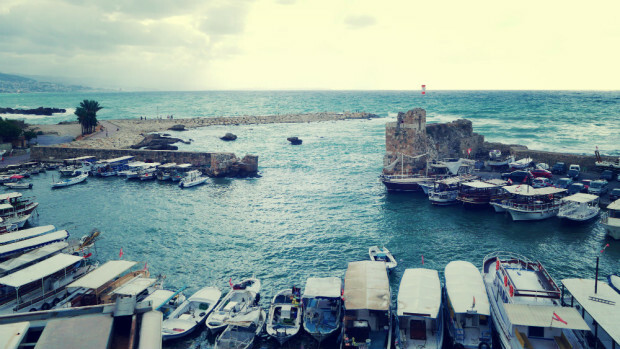 Unlike the frantic Lebanese capital, Byblos is a quiet place, a typical coastal town that, as it’s usual, seems to run at a different, more unruffled pace. 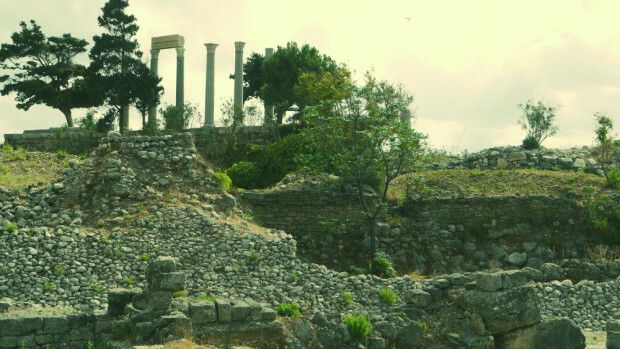 In Byblos (old Gebal and presend day Jbeil) it is possible to find Phoenician, Roman, Byzantine and medieval ruins. 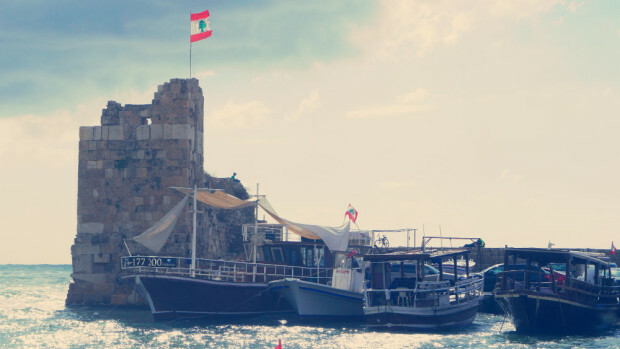 The oldest part of Byblos is far from the center of the modern city, along a shoreline cliff. Here, you can visit a 1,000 years old citadel with panoramic views of the Mediterranean, climb up the stairs of a Roman amphitheater and walk around a 2,000 years old Phoenician necropolis. 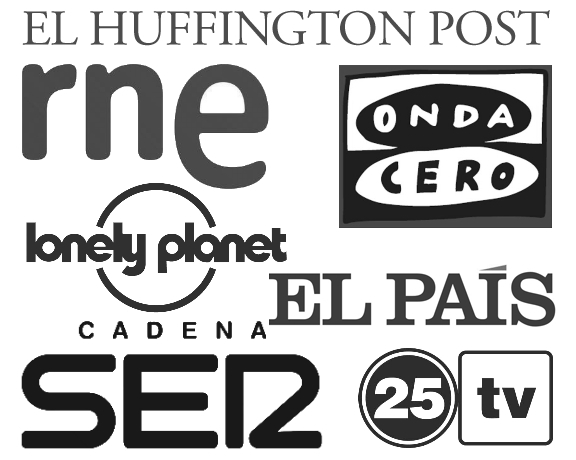 During the second half of the twentieth century, this port town was known as the meeting point for the European and international jet-set. In the 1960s, celebrities from the likes of Marlon Brando or Brigitte Bardot wouldn’t miss the opportunity to dock their yachts in the marina and walk around the trendy harbor eateries and through the ancient streets of the city. Maybe Byblos’ serenity is due to its very advanced age. I find myself sitting on a rock in a place that holds the title of being the world’s oldest city. This is, of course, if we define this metric as “a place established as a city and inhabited continuously since its foundation until today”. Carbon tests placed the first human settlement in this area during the Neolithic period, around 7000 BC. However, what we now know as Byblos was not officially established as a city until about 5000 BC. As the main port of export of cedar and other valuable woods to Egypt, the coastal city become an important center of maritime trade in a short time. Egyptian monuments and inscriptions found in the archaeological area attest to a close relationship with the Nile River valley during the second half of the second millennium. During the 12th Egyptian dynasty (1938-1756 BC), Byblos became a dependence of Egypt, and even the main goddess of the city, Baalat (“The Lady”), was worshiped in the land of the pyramids. After the collapse of the New Empire in the 11th century BC, Byblos became the most important city in Phoenicia. The Phoenician alphabet was developed at Byblos, and it is from here that almost all known Phoenician inscriptions come from, most of which date from the 10th century BC. By then, however, the kingdom of Sidon, with its capital at Tyre had become dominant in Phoenicia, and Byblos, despite having flourished in Roman times, never regained its former supremacy. The Crusaders took the city in 1103 and named it Gibelet. 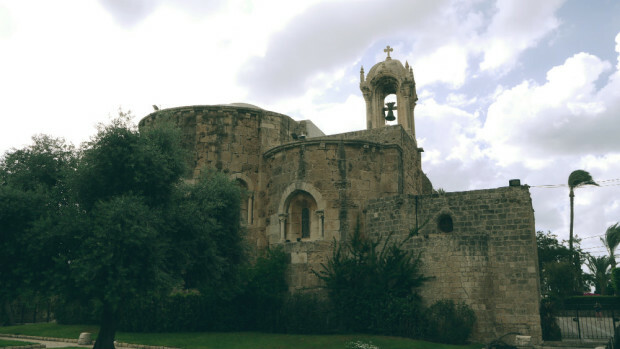 The Crusader castle is the most impressive structure of Byblos. It was built with limestone blocks on the remains of a previous Roman structure. The castle was captured by Saladin, the legendary Sultan of Egypt and Syria in 1188. 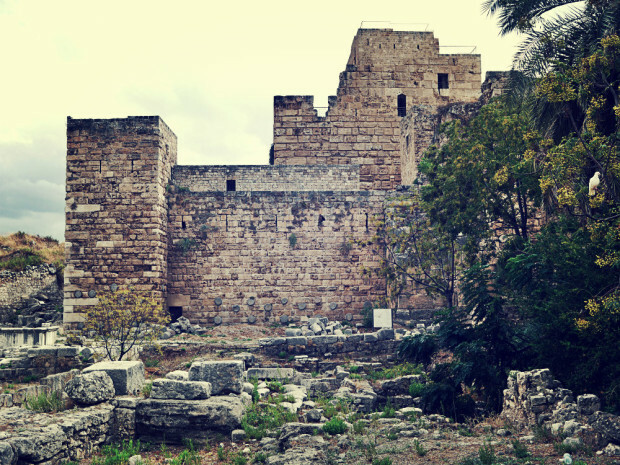 There is a small but informative museum inside the castle on the archaeological history of Byblos. The Castle terrace offers postcard views of the Mediterranean Sea. I look at my watch and realize that it is time to return to Beirut. After all this time, I still fail to understand how it is possible that time can go by so fast when it seems to have stopped. Loved your post! 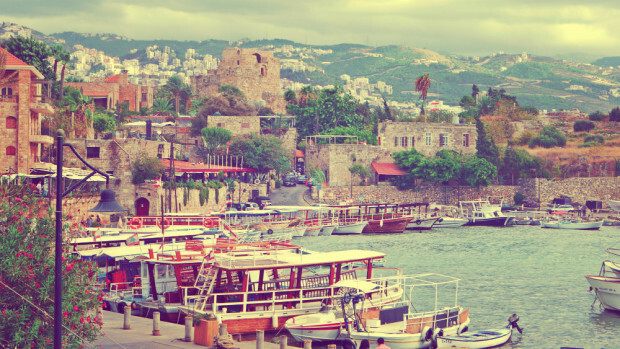 I visited Byblos quite recently and absolutely loved it, such a nice port city! The medieval streets and the great views from the top of the castle were just breathtaking.